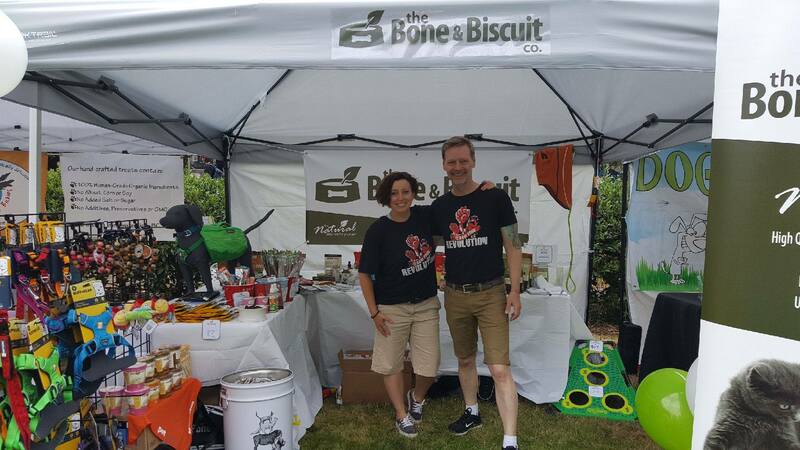 This week we introduce a Bone & Biscuit location in Victoria to share their experience and local insight! 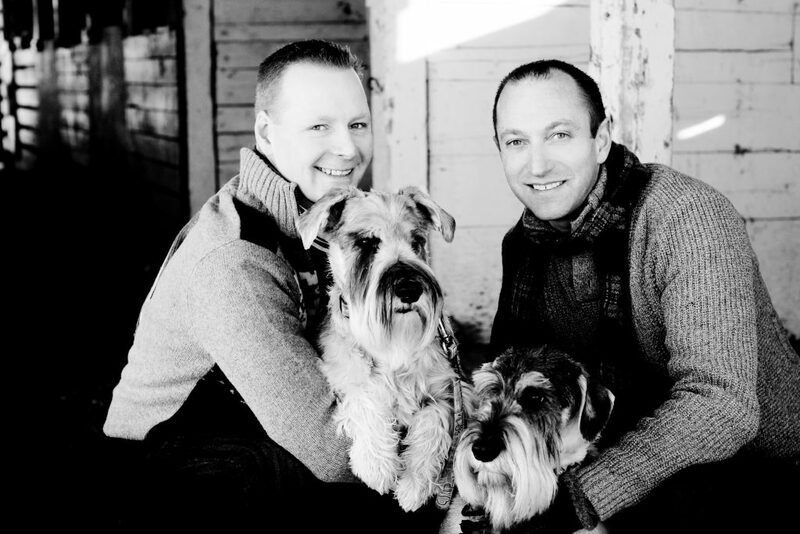 Chris is passionate about pet heath and takes care of 3 pup’s often found in-store. We opened our doors on November 2, 2016 which is the same day Whole Foods Market opened. Our store is located in the Uptown Shopping Centre on the 4th level (right next to Whole Foods Market). The full address is 3571 Blanshard St #105, Victoria, BC V8Z 0B9. We are really focused on highly nutritious raw and dry food products as we have seen first hand the benefits of feeding higher quality food. Acana, Pets go Raw and Carnivora are always popular choices. My name is Chris and I’m the primary owner and occasionally you will see Rob in the store helping out. Simba, Jaya and Rubi. Our three dogs…after seeing first hand the benefits of a quality food diet and wanting the best for our pets we decided to help others make good informed healthy choices for their pets. 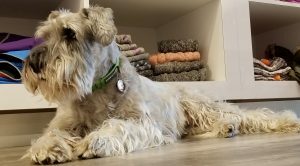 Jaya (8 years old): The first pup to the family, a loving Standard Schnauzer who we think is part human. Her eyes are startling beautiful (when you can see them under her brow). 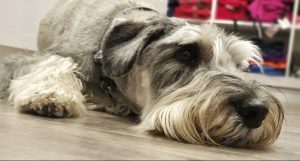 Simba (7 years old): A crazy fun free spirited Standard Schnauzer who came to us from a family who had a hard time dealing with his exuberance. Wow he has come a long way with us. Rubi (6ish years old): A rescue from the streets of Puerto Vallarta. We think a terrier, chihuahua mix of some kind, but boy can she sure melt a heart with her one eye and broken tail. We have both had a passion for pets their whole lives and one of our dogs actually led us to opening the Bone & Biscuit Co. in Victoria. Rubi was a street dog from Puerto Vallarta, Mexico and it was love at first site. She was fine albeit thin and recovering from her life on the harsh streets of Mexico when she became extremely ill with intestinal issues shortly after landing in Canada. She was vomiting blood and lost half her weight. Rubi had no energy and spent her day asleep on the couch. Months went by and after thousands of dollars of tests there was no clear diagnosis. She was placed on a broad-spectrum steroid that the vet told them she would be on for the rest of her life. The side effects of this treatment are many but they never gave up on her and knew there was a better way. Chris spent countless hours researching pet nutrition and weaned Rubi off steroids and on to a raw diet. In the process discovered the Bone & Biscuit Co. A company focused on natural pet nutrition. Both of us are excited about being a part of the community in Victoria and creating partnerships with pet welfare organizations and local charities and look forward to helping our customers make great choices for their pets. 9. 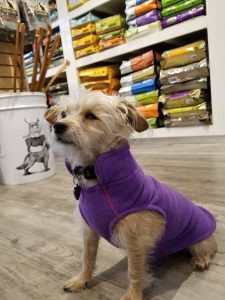 Rubi hit the jackpot now that you run a specialty pet supply store! What kind of toy/treat does Rubi currently love? Rubi “approved” toys and treats are numerous and marked throughout the store. Coming from the street she seems to take to toys shaped like food. The K&H pizza slice is squeaking along nicely. Saanich is full of off leash dog park areas for your pet which are too numerous to list individually. It’s always fun to explore new areas with your pet and our favourites usually have a beach to run along. Pay attention to your pet’s nutrition. We don’t always make the best choices for ourselves, but it’s easy to make the best choices for your pet. Oh yeah and love your pet as much as they love you! Thanks for the spotlight Chris! Chris, Rob and their pack are great resources for the canine AND feline communities!